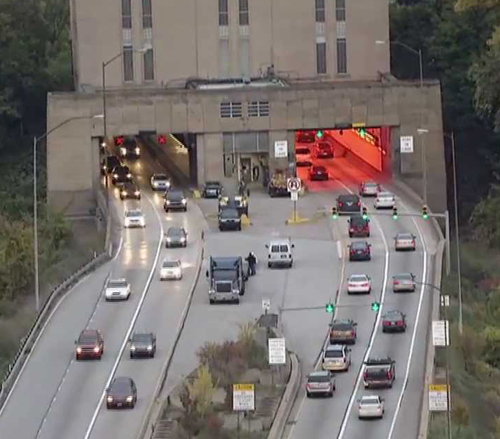 Lighthouse Electric installed cell phone antennas at both ends of the inbound and outbound lanes of Pittsburgh's Fort Pitt, Squirrel Hill and Liberty Tunnels. 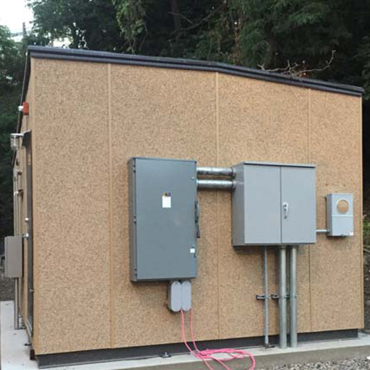 On one end of each tunnel we installed a pre-manufactured 23' x 15' buildings to house all of the associated equipment that operates the systems. At the opposite end of each tunnel, a battery backup system with the separate utility service was installed. 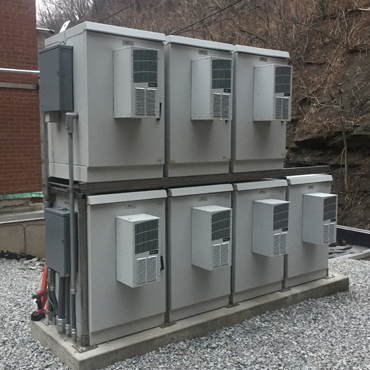 This back up battery system will allow the cell phone antenna system to maintain coverage during power outages lasting up to 8 hours. 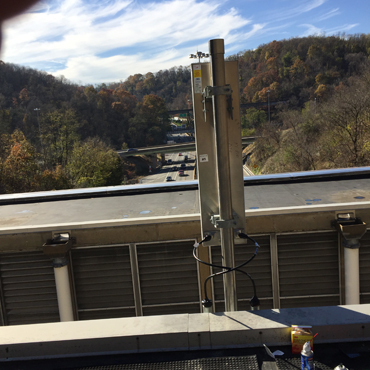 In total, Lighthouse installed 13 antennas, 3 buildings and 3 battery backup systems. 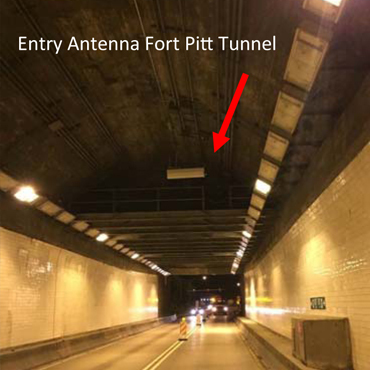 The thirteenth antenna was placed outside the Fort Pitt tunnel’s south end to cover the tunnels southern approach.